Is a Maltese the right dog breed for your family? family, but choosing the right breed of dog is something that should not be taken lightly. Before you make this very important decision, find out more about the Maltese dog breed and how to go about finding the right dog breed for you. Instead of just listing the characteristics of Maltese dogs, I surveyed hundreds of real Maltese dog owners to get the scoop on what it's really like to have a Maltese dog in their family. If you already have a Maltese dog, feel free to participate in these polls and let others know exactly what it's like bringing a Maltese into your family. Hundreds of real Maltese dog owners were asked to describe their dogs with one word. Smart, friendly, and playful topped the list followed by loyal and energetic. If these are the characteristics you're looking for in a dog, you may be choosing the right breed of dog by getting a Maltese. Since smart and energetic dogs can sometimes equal trouble, I'd advise you to take advantage of this free dog obedience training course. What words best describe your Maltese? Have a Maltese dog? Vote in this poll! According to real Maltese dog owners, potty accidents followed by barking top the list of common Maltese dog behavior problems. If you are thinking of bringing a Maltese into your family, first decide how you will handle these potential problems. Of course all these problems can be fixed or completely avoided if you know what to do. Get started off on the right foot with these great Maltese puppy training resources. What are your Maltese puppy's most frustrating behaviors? When asked what their dogs' health, real Maltese dog owners have all agreed that eye stain is the most common of all Maltese health problems. A few have had dental problems, but most haven't had any health problems with their Maltese. Before you bring a Maltese dog into your home, read up on Maltese eye stain and ways to effectively treat it for a happy and healthy Maltese. Has your Maltese had any health problems? Still unsure if you're choosing the right breed of dog? Use this dog breed selector below or go to The Best Dog For You site to find out which dog is right for you. If you have children, I recommend reading the Choose the Best Dog for Your Child ebook to make sure you make the very best decision. Find out more about what real Maltese puppy dog owners have to say about their puppies' personalities on our Maltese Puppies Pictures page or learn more about behavior, training, and care of Maltese puppies. 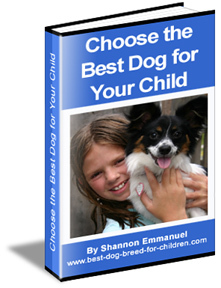 Learn even more about how to choose a dog.